The Family (15) is the latest film from renowned action director Luc Besson, best known for Leon: The Professional and La Femme Nikita, and legendary producer Martin Scorsese. Starring Robert De Niro as a former mobster, the film is a blackly comic look at this highly unconventional American family as they start a new life in a sleepy Normandy town. What’s it about? Former mafia boss Giovanni Manzoni (Robert De Niro) is forced to take his family and flee abroad under a witness protection program after snitching on the mob. CIA agent Stansfield (Tommy Lee Jones) does his best to keep them safe under their new identity as the Blakes, but Giovanni, his wife Maggie (Michelle Pfeiffer), daughter Belle (Dianna Agron), and son Warren (John D’Leo) struggle to keep their cover. Facing snobby locals, nosy neighbours, school bullies and the constant threat of being discovered, the family just can’t seem to leave their bad habits behind. Verdict: It’s got tongue-in-cheek humour, ultra-violent action, and an impressive cast and crew, but oddly enough The Family doesn’t quite deliver. Besson’s filmography is a testament to how well he handles the action genre, and Scorsese extensive filmography doesn’t even require comment, but for all the talent behind the camera and the numerous attractions of the lively script, The Family can’t seem to become more than the sum of its parts. The acting isn’t the problem – De Niro is droll, delivering a subtler form of comedy than we usually see from him, with a blackly comic edge to his blunt asides and thoughtless violence. Pfeiffer treads the balance between bawdy humour and sudden violence as well, which adds an interesting energy to the family dynamics. And the younger actors clearly relish roles that give them the rare opportunity to play smart kids with a dark streak. 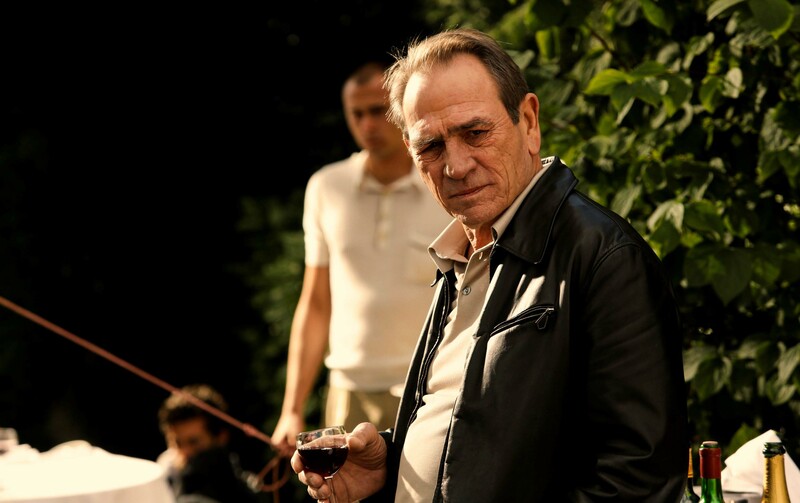 Tommy Lee Jones is a welcome presence and steals some of the best lines in the film with a no-nonsense delivery that is effortlessly funny. The way the film is shot is a move away from the unpredictable, sometimes humorous, and slick camera moves that made the action scenes in Leon so watchable, and toward something more mainstream. Although it includes exploding supermarkets, crashed cars, machine gun fire, and heck, even a rocket launcher, the action feels a little generic compared to Besson’s past work. But perhaps the most unsuccessful aspect of the film is the inability to reconcile the darkly funny concept with the audience’s desire to feel something for the characters. The humour lies in the fact that this family are more sociopathic and violent than you first imagine, but still embody a functioning family unit that cares about one another and, on the surface at least, encapsulates the wholesome American ideal. And it certainly is funny to see the blonde cheerleader take a psychotic turn because someone stole her pink pencil case, but it doesn’t rouse any real sympathy for the characters – and so, the action-packed drama of the finale just doesn’t pay off. And the extreme scenes of violence will doubtless feel gratuitous to some viewers because of this. Final Words: It’s definitely darkly funny and action-packed, with an ultra-violent streak that helps it keep its edge even when it gets increasingly improbable, but it won’t be the film Scorsese or Besson fans expect. It lacks the emotional punch-to-the-gut of Leon, the stylish noir of Nikita, and – for all the Goodfellas in-jokes – this isn’t a gangster film you’d ever expect to have Scorsese’s name on it. As long as your expectations aren’t too high and you appreciate dark humour, The Family is an enjoyable action comedy. The Family (15) is in UK cinemas from 22 November. What Can We Expect from the New Bourne Film?